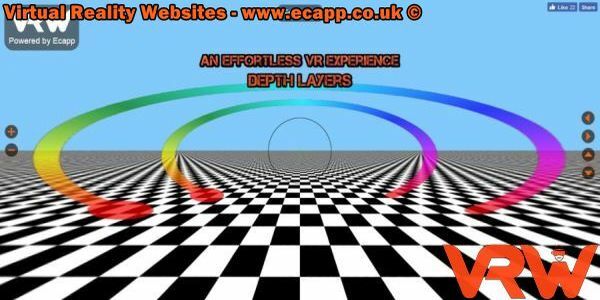 Virtual Reality Websites by Ecapp comfort is the key to creating an enjoyable VR experience. Movement is restricted to the limitations of the human body. Say users are sitting on a non-spinning chair, the interface should operate within a 90° to 100° (L:-45°/R:+45°) horizontal and a 32° to 44° vertical space. 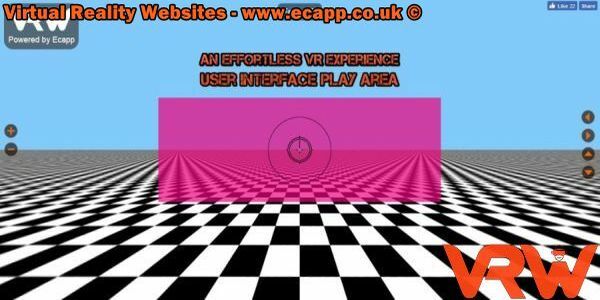 User interface play area, Based on a 180° horizontal and vertical playor visual area zone "half a sphere representing the front looking area", We have isolated the area where the virtual user interface lives, represented by the pink square in the VR area to the right. Another aspect that must be considered is depth. 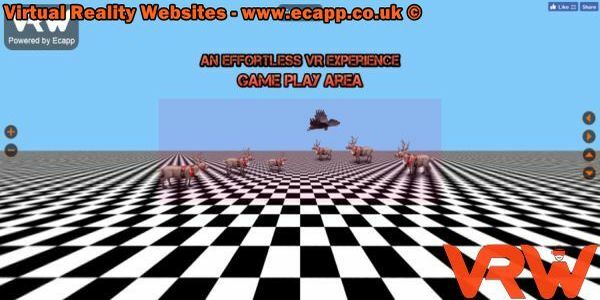 One canvas is not enough to create a solid VR user experience. In a 3D environment, at least 2 levels of depth need to be considered: background and foreground. Game in play area. Visually view all aspects of ideas and suggetsions from above. The canvas size I created and used is: Width=2100 X height=740 and visual depth=1800 angles/position is: ath=0 atv=0 To position items and objects I used: ox and depth. You can also use oy, rx, ry and rz to position objects to improve the 3D virtual reality experience.